Custom wall decals made out of self adhesive vinyl are an easy way to make a big graphic statement with minimal cost and impact to your wall’s integrity. Unlike traditional wall art where you may need to drill holes in your wall to install, this look does not require power tools. 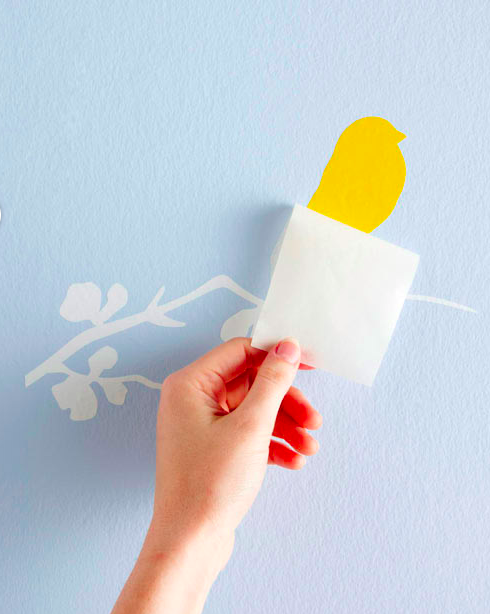 If you ever want to redecorate, they can easily be removed with out damage to your wall. 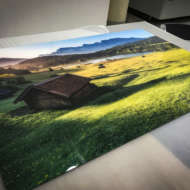 Our wall clings work great if you would like to utilize this type of application for a photograph or graphic image as a “print” that gets applied directly to the wall. 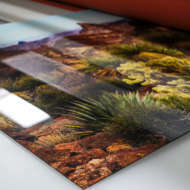 I have even seen people build a frame around a wall cling with scrap pieces of wood or paint for an inexpensive and easily removable art solution. Looking for something more custom like the designs here? If you know how to work in Illustrator, creating your own design to cut out is a snap. Custom orders can be placed through our main site ArtisanHD, for custom digital router work. 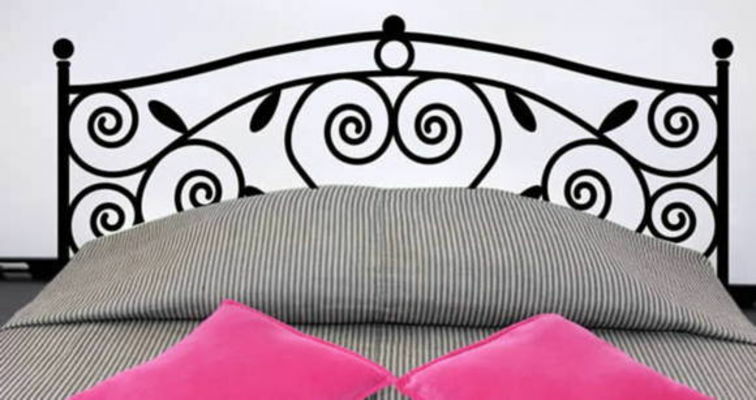 For example, say you would love to have an antique wrought iron headboard, but don’t want to shell out the bucks – create one out of black vinyl! Or bring the outside in with this tree design. 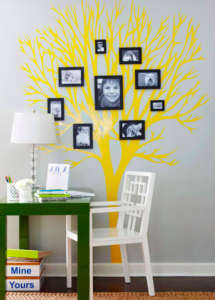 This design can make a great family tree. 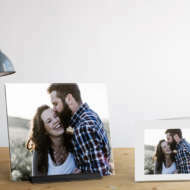 You can add photographs of family members, like they have here, or just their names to continue the simple graphic line look. You could add to it through out the years with new additions to the family. This would also look great in a nursery where you could add elements that match the theme of the room, like animals or a tire swing hanging from the branches. Before you tackle this home project be sure you are ready for installation. 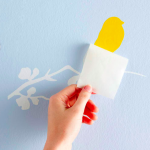 Clean your walls, and if you have recently painted make sure you allow your paint to dry 72 hours before applying the vinyl.